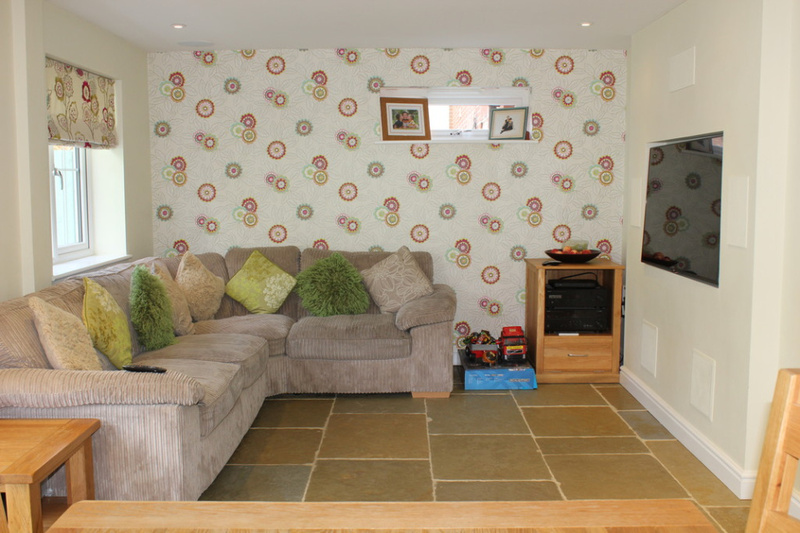 A really impressive family home situated in a much sought after area. The property is presented in first class condition throughout and offers a range of stylish and extremely well appointed accommodation including; entrance hall with solid oak staircase, wonderful open plan living/dining area with bi-folding doors to the garden, superb bespoke kitchen with underfloor heating, utility room, comfortable double aspect lounge, play room, cloakroom, four double bedrooms, and three bathrooms. Outside includes garage, gardens, and ample parking. 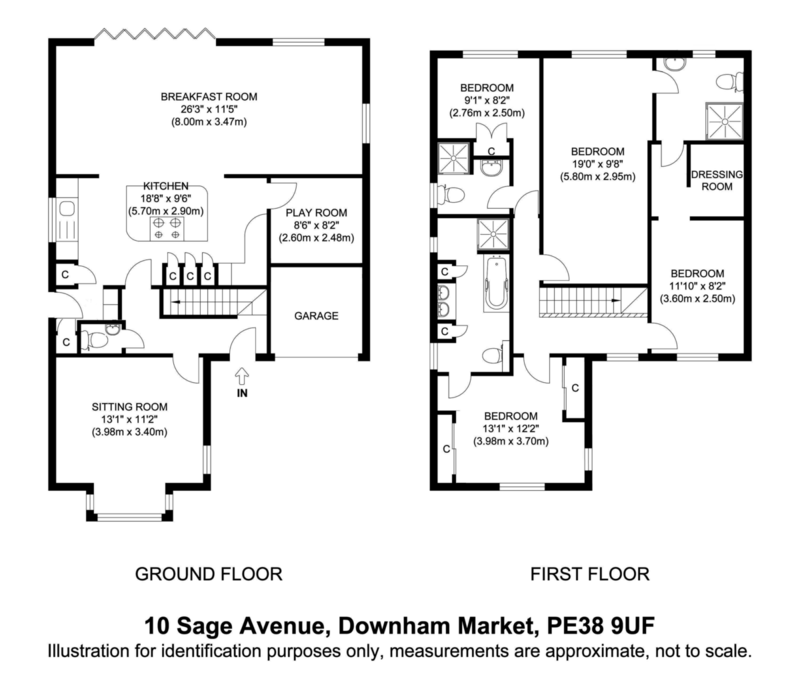 The popular market town of Downham offers a wide range of facilities including, doctors surgeries, schools, leisure centre, supermarkets, library, various shops, and a main line rail service to Kings Lynn, Ely, Cambridge, and London Kings Cross. The beautiful and largely unspoilt North Norfolk coast is within easy reach, as is the Royal Sandringham Estate and many other attractions. 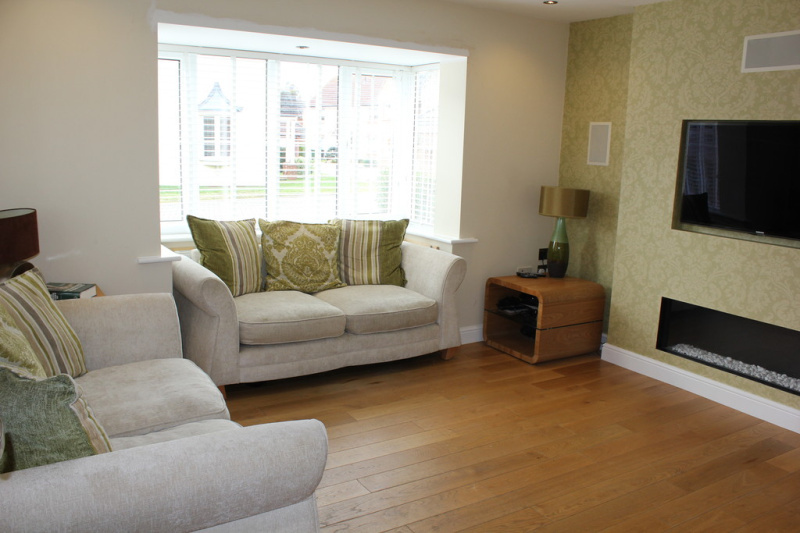 ENTRANCE HALL: Main entry door to front, solid oak staircase, radiator, wood flooring, recessed spotlights. 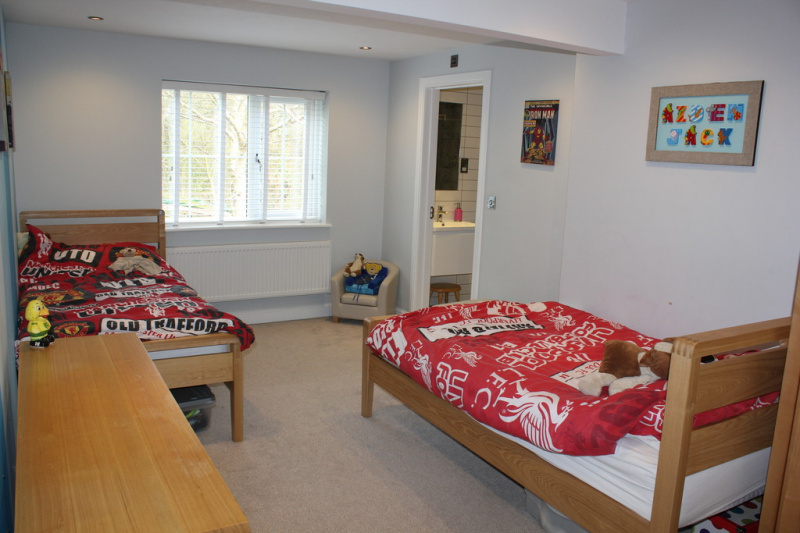 Comfortable double aspect room with box window to front, wood flooring, modern feature gas fire, two radiators, window to side, TV and phone points, recessed spotlights. 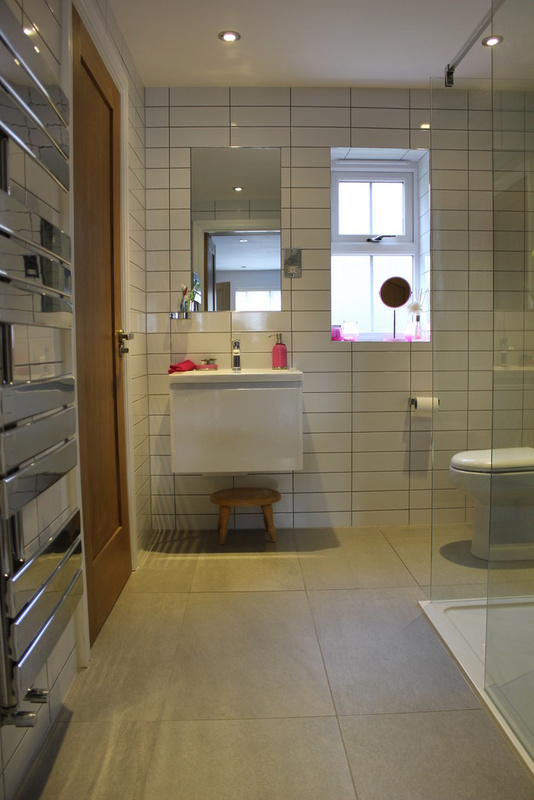 CLOAKROOM: Fitted with a white suite comprising; low level WC, wash basin, tiled surrounds. Superb bespoke kitchen fitted with a comprehensive range of wall and base storage units and Silestone Quartz worktops, single bowl sink unit, integrated fridge and freezer, central island with two integrated ovens and induction hob, underfloor heating, window to side aspect, arch to utility room, recessed spotlights. 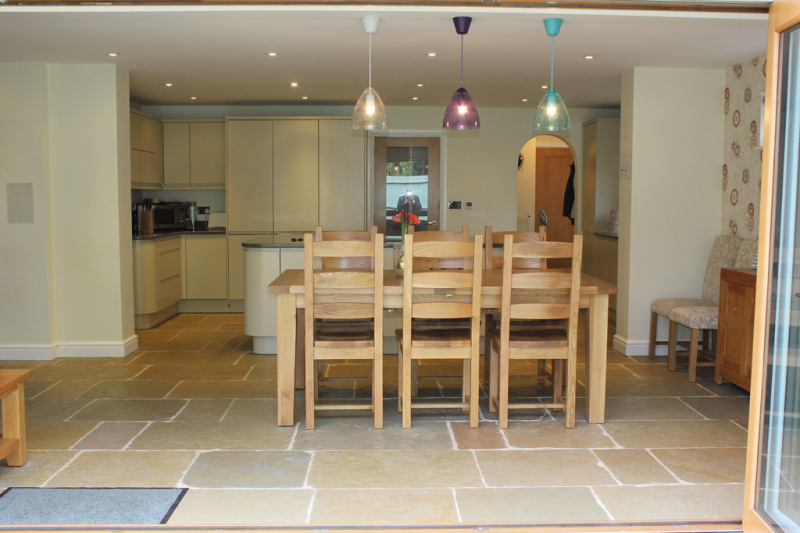 Wonderful space for dining and relaxing and fitted with a wall of bi-folding doors overlooking the rear garden. 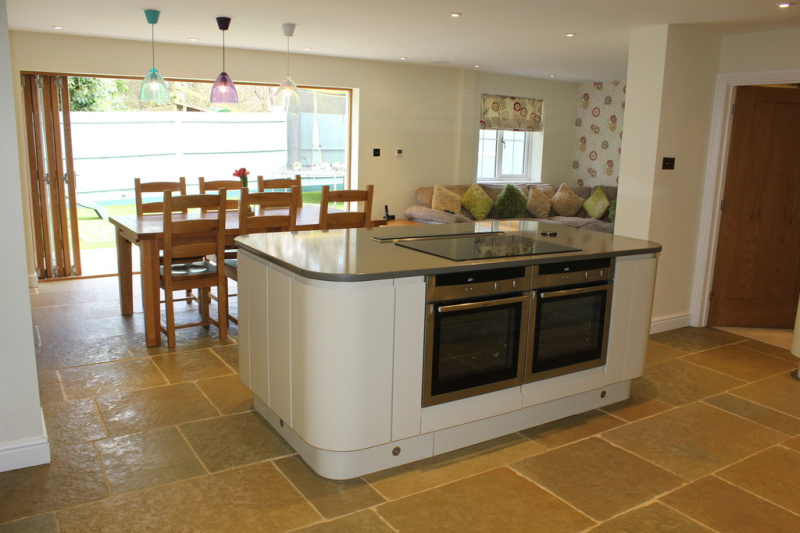 The area benefits from underfloor heating and includes; additional windows to rear and side aspects, TV and phone points, recessed spotlights. UTILITY ROOM: Fitted with wall and base storage units and worktops incorporating a single bowl sink unit, plumbing for washing machine, space for dryer, tiled flooring, spotlights, door to outside. Part garage conversion with underfloor heating, recessed spotlights. FIRST FLOOR LANDING: Loft access (part boarded with loft ladder), radiator, recessed spotlights. 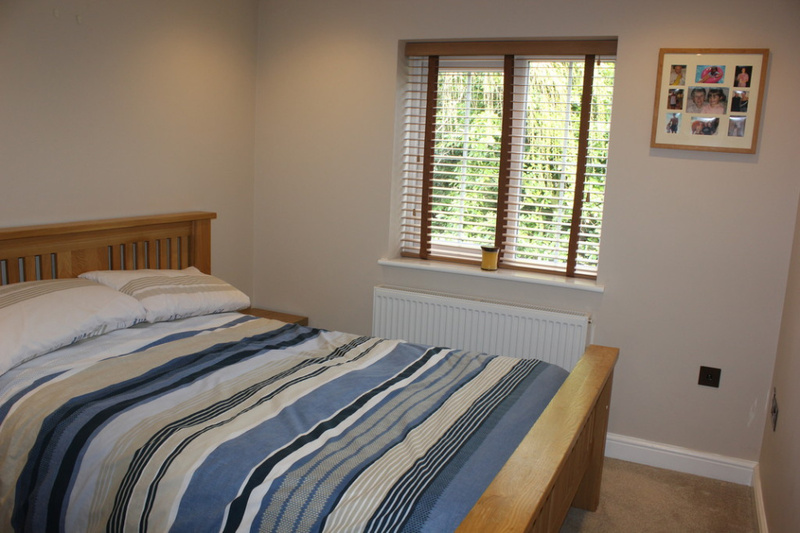 Windows to front and side aspects, fitted double wardrobes, radiator, TV and phone points, ceiling fan, door to en-suite bathroom. 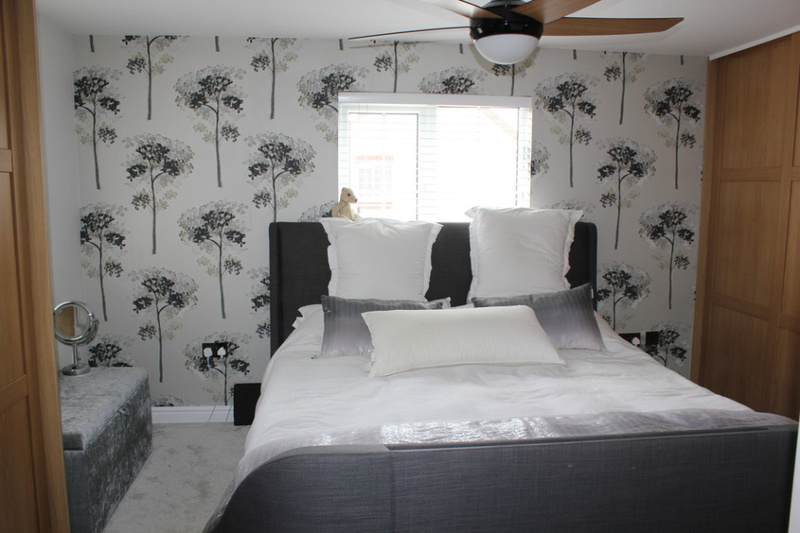 Relax in the luxurious en-suite bathroom which is fitted with a suite comprising; bath, fitted vanity unit with plenty of storage and two wash basins, tiled shower area with mains shower, low level WC, two radiators, recessed spotlights, windows to side. Window to rear aspect, radiator, recessed spotlights, door to Jack and Jill shower room. 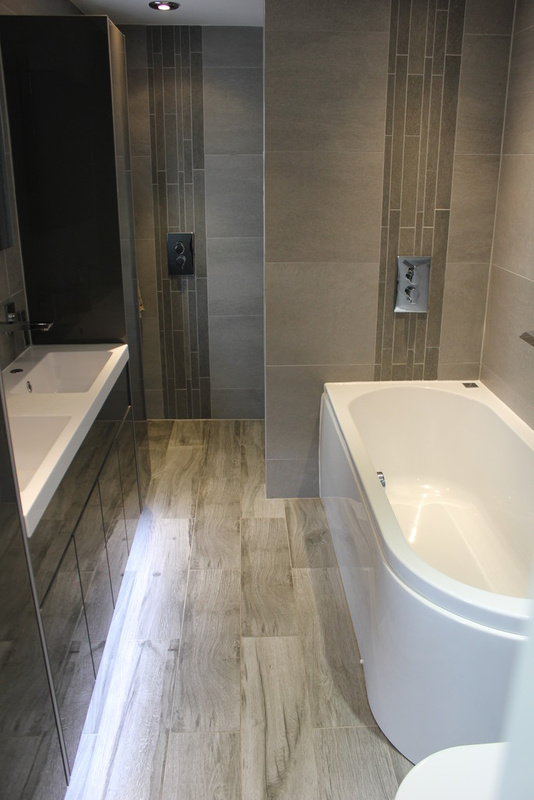 Generous shower room fully tiled and fitted with a suite comprising; double size shower enclosure with mains shower, vanity wash basin with drawer under, low level WC, radiator, window to rear, recessed spotlights. Window to front aspect, radiator, recessed spotlights. DRESSING ROOM: Walk-in wardrobe, door to Jack and Jill shower room. 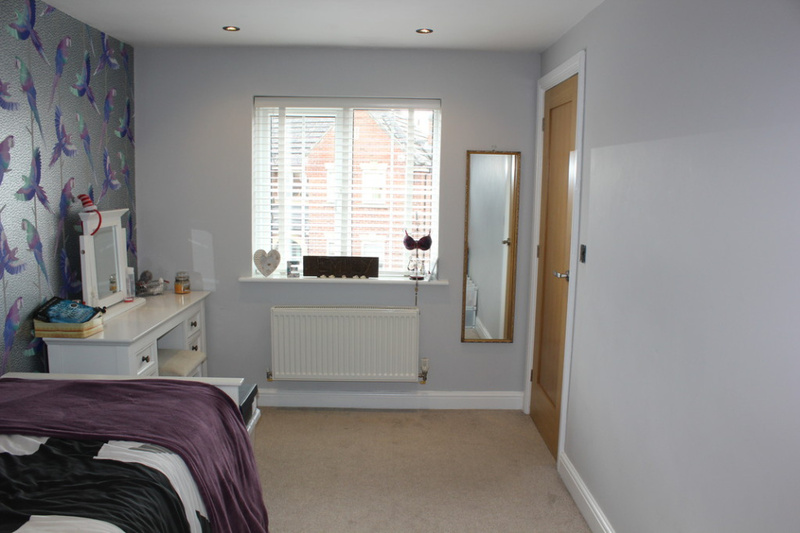 Window to rear aspect, radiator, built-in wardrobe, TV point, recessed spotlights, door to en-suite shower room. 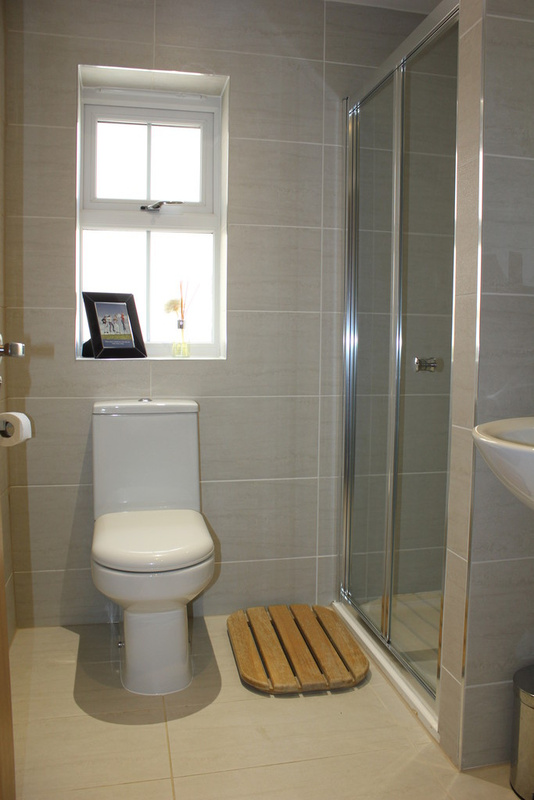 EN-SUITE SHOWER ROOM: Fully tiled and fitted with a suite comprising; shower cubicle with mains shower, pedestal wash basin, low level WC, radiator, window to side, recessed spotlights. 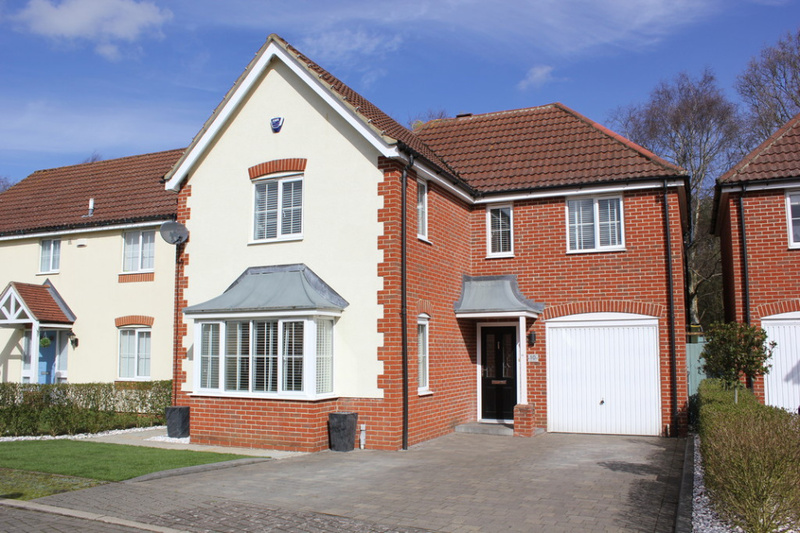 OUTSIDE: The property is approached via a driveway affording ample parking and leading to an integral garage, part of which has been converted. The front garden is mainly lawn with a hedge border. 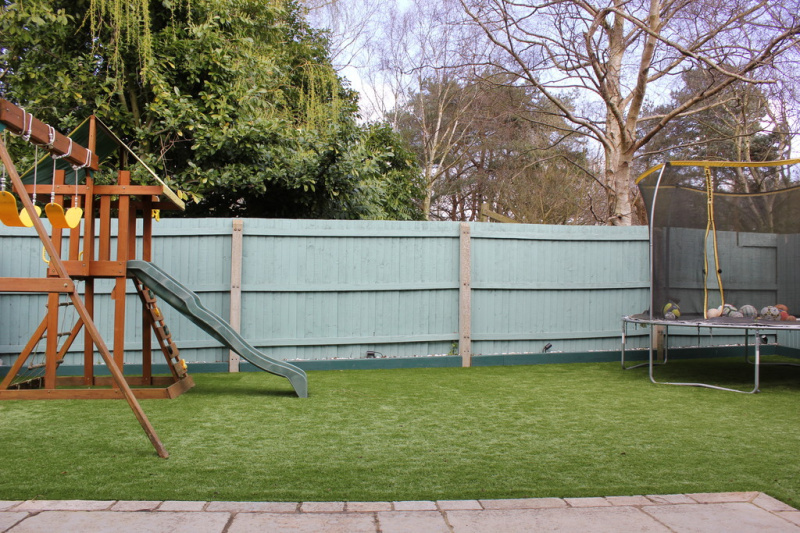 A side gate allows access to the enclosed rear garden which has been laid with artificial grass for low maintenance and to look good all year round. There is also outside lighting and a patio area.